oBike's $10M Debt Settlement Drags On As Investor Stands Firm On Demand: "I Asked For Invoices"
As last reported, oBike’s liquidator FTI Consulting is currently in talks with the firm’s new Costa Rican owners to settle the outstanding claims. But the debt settlement is still hanging as investor Oscar Moises Chaves claims that he has received insufficient information to kickstart the repayment process. Refuting this statement, FTI’s senior managing director Joshua Taylor said that the relevant claims information has been provided to Chaves in a meeting that took place on Wednesday (January 23). This was following a request for information during their previous meeting on January 16. In response to this, Chaves said that he was again provided with the summary of monies owed, with no names or documents to back up the claims. “I asked for invoices… The summaries, they just say creditors are owed ($500,000), users (are owed) $8 million. How do you pay that? I just want to see the documents,” Chaves told TODAY. The two parties had first met in August last year with creditors, with Taylor announcing that the liquidators are looking to retrieve $10 million from oBike’s Hong Kong unit which has been misused as “prepayments”. The next meeting took place in October, after Chaves successfully acquired oBike. He pledged to clear its spiralling debt, and FTI said it will provide the necessary documents to move the process forward. However, the repayment is on a standstill as Chave awaits a full breakdown of the amounts owed to parties here. His demand is clear and simple: He wants them to be “documented completely” so that he can look over them before he goes on to supply the funds. FTI responded by releasing a media statement announcement stating that it will supply the documents needed. The said documentation has been provided in a meeting on Wednesday, in which Taylor emphasised that there has not been “significant delays” by the liquidators. He aded that FTI had sent Chaves a draft agreement, which details the repayment of outstanding claims to deposit holders and creditors in Singapore. Both parties are now “working actively” to finalise the terms of the agreement. Once it’s signed and the money has been received, Taylor foresees that it will take two months for the parties to get their money back. During this two-month period, the liquidators will be reaching out to creditors to file claims, and reviewing and approving those claims before declaring a dividend. Chaves has confirmed that he has received the draft agreement, but said that there was no need to negotiate the terms as he “just needs to receive the appropriate bill” for him to make payments. oBike announced in June last year that it has exited the Singapore market, citing difficulties with Land Transport Authority (LTA) regulations after about 18 months of operation here. The announcement came after the huge uproar regarding how oBike was converting the $49 deposit in their idle accounts into Super VIP Membership Subscriptions without consent — which they later blamed on a “technical lapse”. This sudden departure also meant that owed users were left stranded, with no idea whether they could still get refunds for their $49 deposit. Liquidator FTI Consulting revealed that the amount owed totalled to $8.91 million, but only $439,878.43 worth of claims have been filed so far. According to oBike’s records, it has more than 220,000 deposit holders in Singapore. The majority of this figure has yet to file claims, and even for those who have done so, there is no targeted timeline as to when they can get their deposits back. The filing for refunds took place last Wednesday at a meeting with oBike’s creditors. About 18 people attended, made up of both oBike users with unrefunded deposits along with companies which are owed money. As of Tuesday noon, trade creditors, vendors, regulatory agencies and town councils, have filed about $768,700 worth of claims against oBike — this is higher than the expected $497,700 as stated in the firm’s records. 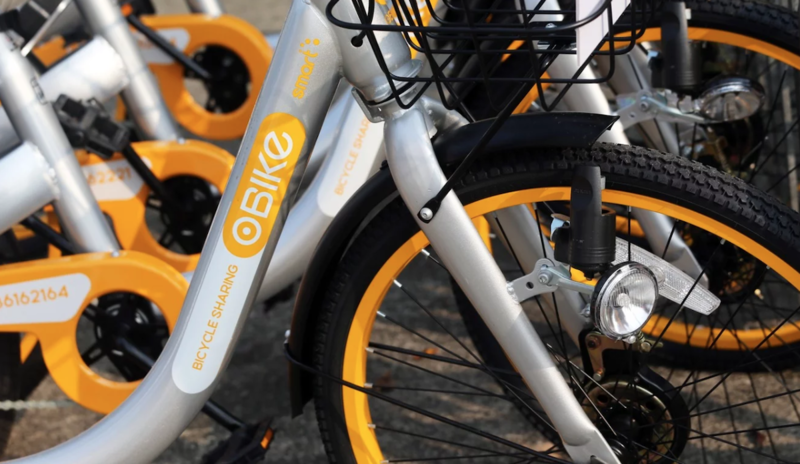 According to FTI’s senior managing director Joshua Taylor, they have recovered about $541,000 from oBike selling its bicycles and recovering funds held by third-party service providers. However, creditors are unlikely to receive a payout from this sum. “That is an option, but if you look at it, there’s cost and expenses associated with liquidation… so if we did that I don’t think there will be a great return at all to creditors,” Taylor told The Straits Times. The only saving grace for creditors now is oBike’s new owners: the Costa Rican investment group OSS Inversiones. FTI is currently in the midst of discussing the debt settlement with oBike’s new majority shareholder, particularly working out the proposed terms for the latter to settle the outstanding claims. Taylor said that FTI had already provided additional information on claims against oBike to OSS, as requested by the group. However, a representative from OSS named Samuel Chaves, told The Straits Times that it had yet to receive such information. “We will continue to liaise with the investor on an agreement, and hopefully at some point in the near future, we will make a public announcement with the investor [on] whether an agreement has been reached,” said Taylor. Once the agreement is signed, the two parties will kickstart a process that could see creditors get their money back within two months.